Women's Hammered Silver Necklace : LOVE2HAVE in the UK! 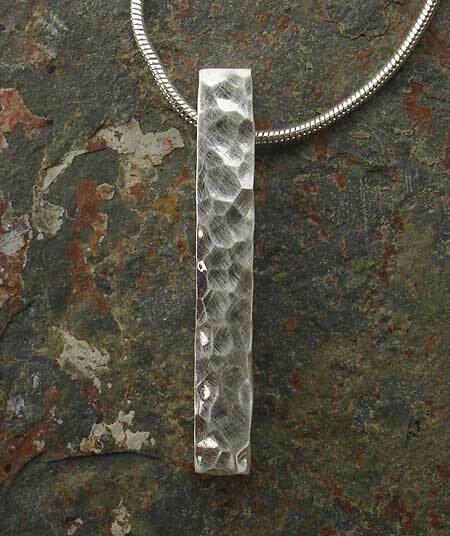 A women's hammered silver necklace. This ladies silver necklace is another of our very simplistic clean-cut designs. In fact, we would go as far as to say that it has a high street contemporary styling as it is quite understated which is what many of our customers require, nothing ornate or intricate, just high-quality modern styling. 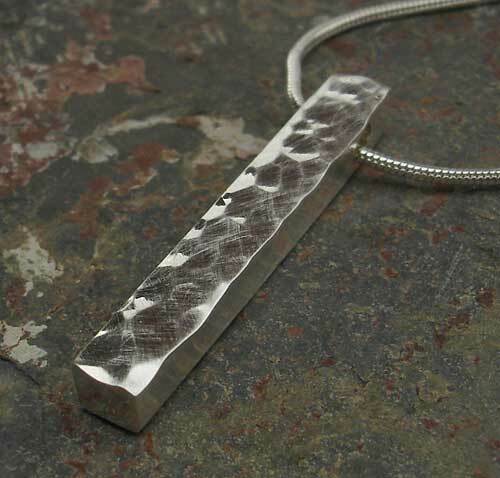 The silver bar is a long squared-off shape that measures approximately 30mm in length and is 5mm square. The silver has a hammered texture all over, and it comes in a polished finish. Finally, the pendant comes with a 16-inch snake chain, but other lengths are available on request.